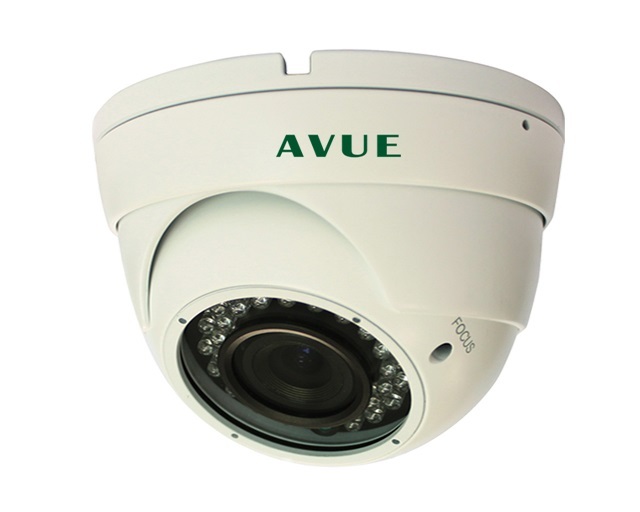 AV666EW has an advanced image technology and comes with 1/3” Sony 960H CCD image sensor, with a resolution as high as 700 TVL. Other features includes true color, 2D noise reduction, wide dynamic range (WDR), and IR SMART control. AV666EW comes with a powerful on-screen display menu for setting motion detection, privacy mask, high-light compensation (HLC), back-light compensation (BLC), multiple languages, and other functions that makes the AV666E suitable for various special environment. This model is also available in dark gray (AV666E). 1/3” Sony 960H CCD Image Sensor.